Daly Industrial Supplies U17 League 1: Carrigaline United 1 Ballincollig 0. 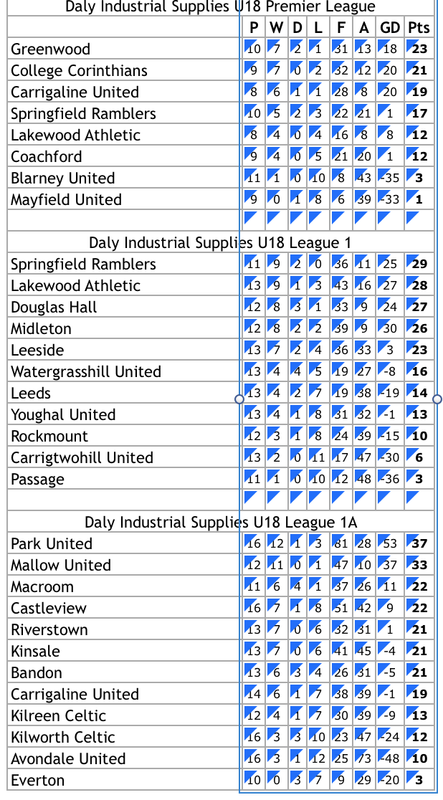 Daly Industrial Supplies U18 Premier League: Coachford 2 Greenwood 5, College Corinthians 2 Blarney United 0, Mayfield United 1 Carrigaline United 5, Springfield Ramblers 0 Lakewood Athletic 2. 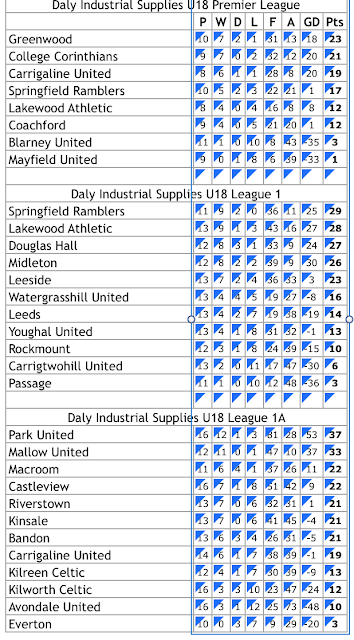 Daly Industrial Supplies U18 League 1: Lakewood Athletic 3 Leeds 1, Midleton 2 Carrigtwohill United 0, Rockmount 0 Douglas Hall 6, Watergrasshill United 0 Springfield Ramblers 3, Youghal United 3 Leeside 3. 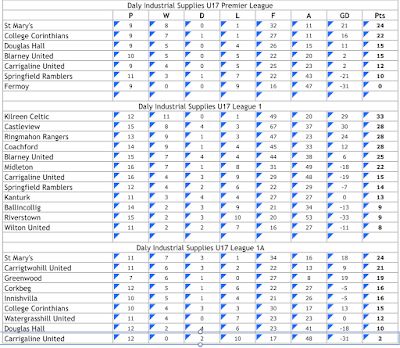 Daly Industrial Supplies U18 League 1A: Carrigaline United 2 Bandon 3, Castleview 0 Kinsale 2, Kilreen Celtic 5 Avondale United 1, Mallow United 4 Kilworth Celtic 0, Park United v Riverstown. 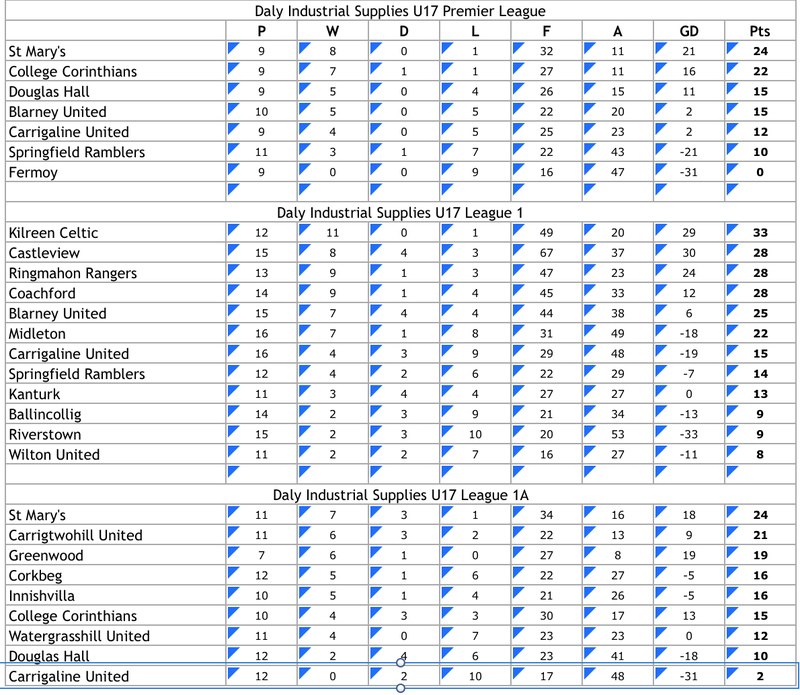 Daly Industrial Supplies U17 Premier League: College Corinthians 4 Carrigaline United 1, Douglas Hall 0 Blarney United 1, Springfield Ramblers 1 St Mary’s 2. 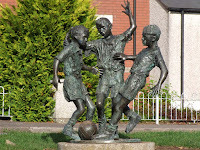 Daly Industrial Supplies U17 League 1: Blarney United 6 Castleview 6, Kilreen Celtic 3 Kanturk 2, Midleton 1 Springfield Ramblers 0, Ringmahon Rangers 3 Wilton United 1, Riverstown 1 Coachford 3. 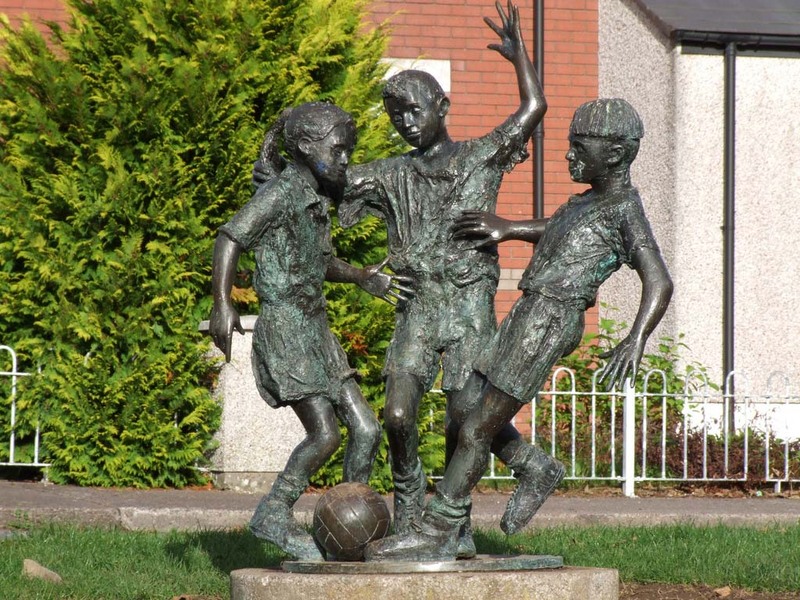 Daly Industrial Supplies U17 League 1A: Carrigtwohill United 3 Douglas Hall 0, Innishvilla 2 Watergrasshill United 1, St Mary’s 4 Carrigaline United 2.